We’ve been scouring China’s hidden food scene for decades, and leading guests to the city’s hidden gems for more since 2010. We take pride in our restaurant, food and city history knowledge – our guides go through a rigorous training process and are active in the F&B industry – from food writers to industry professionals, our bilingual guides get rave reviews. Find out more about us below. When not eating food, she’s writing about it. 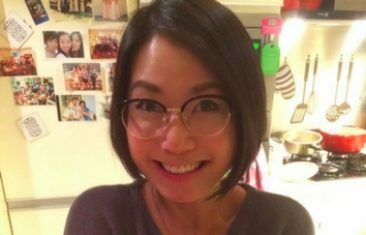 The former dining editor of China’s longest running English language magazine, Jamie spends her days finding the city’s best hidden gems and learning secret recipes in the kitchens of the best restaurants. From holes in the wall frying up the best shengjianbao to Michelin starred chefs serving foie gras feasts, she’s always hungry for more. 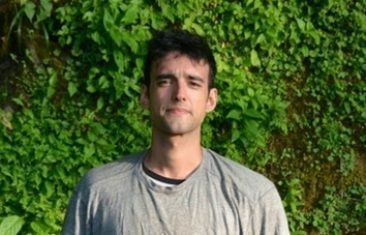 A freelance editor and writer by day and foodie at every other time, Kyle has eaten and cycled his way around the world. From Chile to Germany and then back to China because he just can’t resist bowls of steaming sesame noodles at any time of day. Kyle also works on jogging every street in Shanghai. In the meantime he loves showing visitors how delicious Shanghai really can be. 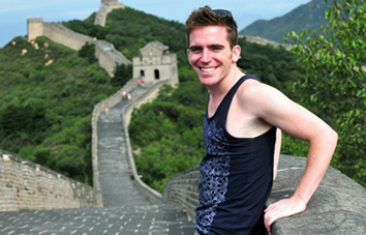 Originally from the Chicago area, Neville's China adventure started with a summer studying Chinese in Beijing in 2009. He made the move back to China in 2013 and has lived in both Beijing and Shanghai since. While Neville loves all types of Chinese food, he has a strong affinity towards dumplings. In his spare time you can find him on the ice pursuing his quest for the infamous Shanghai Hockey Club Shangley Cup and missing deep-dish pizza. Christopher grew up in Kentucky and arrived in China in 2001. He spent the next 7 years traveling to every corner of the country in various guises. During that time, he explored the outstanding diversity in Chinese culture, picked up Mandarin, and ate everything in sight. He’s had both feet firmly planted in Shanghai since 2008. Ask him about the local improv comedy scene. Ashley is originally from Singapore and Malaysia but spent her whole life in Shanghai so she's been spoiled with amazing food from all three countries. Her favourite restaurants are the quiet hole-in-the-wall places that serves simple and delicious cuisines, be it Mexican, Chinese, Italian, etc. She loves all food! When she is not working as a Breakfast Tour Guide, she is out and about with her dogs walking/biking all over Shanghai. As a Dutch Born Chinese Foodie, Chelsea always knew that her passion for food was determined by DNA and that she would move to China to explore the Chinese culture and most importantly to EAT. So she did! She eats everything (except celery) and she likes to push her spice level to the max (challenge her!). Margaret was born and raised in LA and visited Taiwan & China on summer and winter breaks while growing up before making the permanent move to Shanghai in 2011. A product of Taiwanese & Dongbei parents, she loves traveling and exploring the foodie scene - especially when it includes fresh seafood and dumplings. Her family always seeks out the best restaurants wherever they've made our base, and she enjoys sharing her foodie discoveries with fellow travelers. Lauren landed in China for a “ten-month adventure”. She blames the soup dumplings for keeping her here. 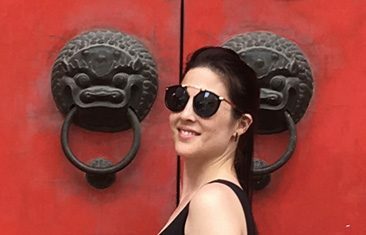 A former editor at That’s Shanghai magazine, Lauren has sampled, and written about all-things Shanghai. She loves ‘run’-touring, exploring the wilds of Inner Mongolia, and shuffling through the back alleys of Shanghai. Chris is from Oregon, USA and continues to be dazzled by city life in Shanghai after living in western China (Xinjiang and Yunnan) for three years. Some call him old fashioned for his fondness for jazz, old movies, and paying in cash, but he prefers 'adorably out of touch'. Ask him about motorcycles and backflips! Half Tibetan and half British, Nyima has lived in China for 5 years. Although she loves all Chinese food, especially spicy Sichuan dishes, as the granddaughter of a street-side jiaozi seller, she is biased towards dumplings. When she is not introducing guests to the wonders of dumplings, she is editing one of the local expat magazines. Joe was born in China but spent most of his life in the west coast of Canada. He made the move back to Shanghai in 2014. He really enjoys getting to know someone while enjoying all sorts of cuisines - Chinese or otherwise - on a table. If Joe's TV is on, then it's either an NHL game or most shows on Food Network. Joe's favorite Shanghainese dish is the 锅贴 (pot stickers). 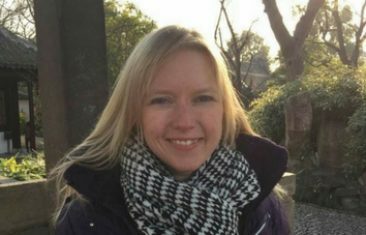 A childhood spent in Hong Kong and a year studying in Taipei left Leigh with a great love for Chinese cuisine in addition to a serious bubble tea addiction. When not tracking down the newest additions to Shanghai's coffee scene, she can be found in the city's museums &galleries, viewing, experiencing and writing about contemporary art. 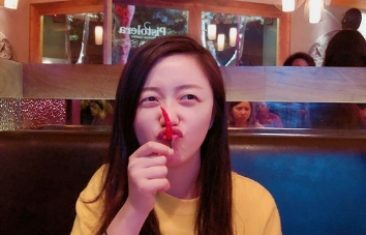 Originally from Hubei province in central China, Cherry grew up eating spicy food, but developed a love for Dongbei (northeastern) cuisine while at university in Beijing. 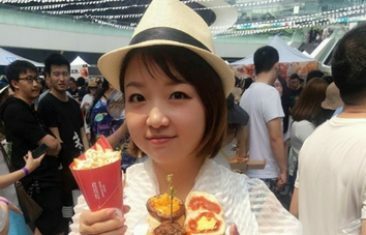 She was selected to study in Australia by the Chinese government, and after exploring the food from Down Under, moved to Shanghai in 2015. In her free time, Cherry is a salsa dancing maniac in a multi-cultural community. Charlotte's Asian saga began in the 90's in Yokoska, Japan where her earliest food memories were formed. Fast forward 25+ years to China where Charlotte continues to create more food memories and bring meaningful China experiences to local expats and weekend globetrotters alike. 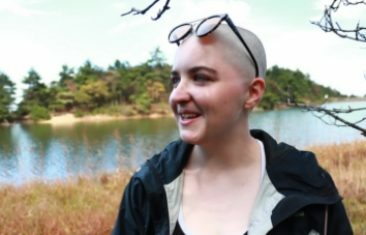 She is passionate about Chinese language and the ukulele, biking every block of Shanghai, and testing out new Chinese pickle recipes in her free time. Patrick was born in Vermont, USA. Although while growing up he very much enjoyed American Chinese food, he always had a desire to try the 'real' thing. This led him to his first trip to China in 2007 where he fell in love with the local cuisine. He has lived in five different cities in China including Shenzhen, Chengdu, Haikou, Xiamen and now Shanghai. He loves trying the most authentic and local food and is not afraid to eat anything... well at least try a bite. Xiaoyan Kong grew up in Shanghai, the youngest child of migrant worker parents from Anhui province. Living with people from across the country has introduced her to the various dialects spoken and given her unique insights into Chinese food. You can ask her to say "What are you doing?" in seven dialects! In her daily life, she studies Interactive Media Arts and Business at NYU Shanghai and volunteers as a teacher. You will find her to be a happy and positive girl with a contagious smile! Kate arrived in Shanghai in 2008, with no idea about the culinary delights awaiting. Now, she loves to spend evenings enjoying the full range of Chinese cuisines but her favourite will always be Shanghai’s own Xiaolongbao. Kate films educational videos by day and once the sun sets can often be found salsa dancing the night away! Jasmin first visited China in 1989, fell in love with salt and pepper pigeon on a train going south, and didn't stop visiting until she finally moved in 2007. With a family motto of "minimum five meals a day" when travelling, finding and feeding is in her genes. Food to her is not just fuel; it is discovery, history, culture, and nostalgia all rolled up into a tasty, moreish, deep-fried ball. In-between eating or planning her next meal, Jasmin is an architect with a passion for traditional Chinese architecture. Li moved back to Shanghai from Honolulu, Hawaii in 2014. His hometown is in Guiyang, Guizhou and he grew up in Zhuhai, Guangdong, close to Macau. When he's not leading tours, he's a portrait and event photographer. You may even see him on the street taking some shots! At his dining table, there's no right or wrong way of eating. He doesn't judge, "use your finger if you have to!" 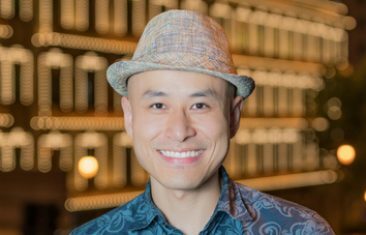 His experience in the tourism and F&B industries both in Hawaii and Shanghai makes him a perfect foodie guide! 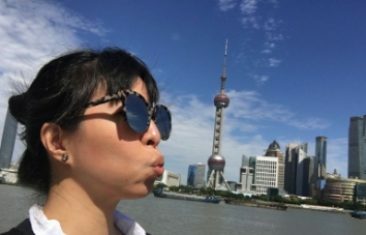 After living in Europe and Japan for almost 10 years, Manfei is back to her hometown, Shanghai. One of the major reasons for her return was a longing for the food she grew up with. Besides exploring new restaurants, she enjoys hiking and bouldering. 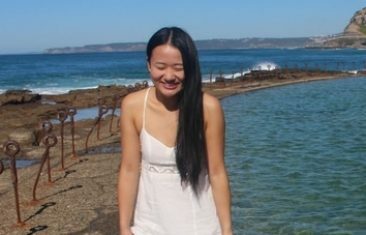 Rebecca was born and raised in Indonesia before moving to Perth, Australia. She spent 8 years there before coming to Shanghai in 2015. Some of her favorite foods are spicy numbing hotpot, crispy juicy shengjianbao dumplings, and savory breakfast pancake (jianbing). She spends her free time eating her way around Shanghai, and then burning it all off by training hard in the gym- life is all about balance, after all! Camille is originally from Chengdu, Sichuan. To her, spicy is not just a flavor, it's a passionate life style. A Sichuan hotpot dinner with friends can make most of her troubles go away. After spending a short time in Orlando, Florida for the Disney program she returned to China to help open the Shanghai Disney Resort. 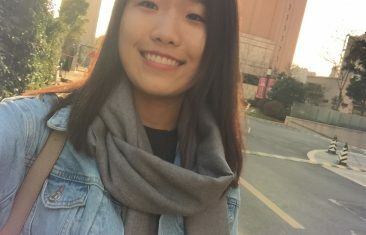 She stayed for college, and has now been living in Shanghai for 6 years and is happy to tell you all about it's exotic dishes and introduce you to Chinese drinking customs. After one year of practice, cooking food for herself and her roommates in Australia, Olivia brought her new skills back to China and settled into life in Shanghai 3 years ago. Born and raised in Hubei Province, central China, she loves exploring food from different areas. A city like Shanghai, with regional specialities from the whole country, is perfect for her. When she isnt working, you can usually find her in swing dancing the night away! tongue he knew China was a country worth exploring. 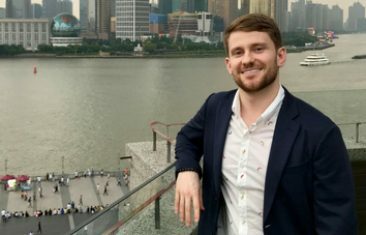 After getting a degree in Chinese language at UNC Chapel HIll and working two years in Orlando, Paul relocated to Shanghai in 2017 to pursue a masters in tourism management. You can catch him performing at Kungfu Komedy, slurping cheese foam off mango smoothies, or playing with LEGOs in his apartment. If you're curious, ask him about the LGBTQ community in Shanghai. Emily is from Anhui province, a place with a great food scene,especially for Southern Chinese food. She studied in Shanghai for 4 years and then went to Spain for 3. While she enjoyed the Mediterranean cuisine, she always felt it was missing something and has since started cooking food that combines Mediterranean and Oriental elements. 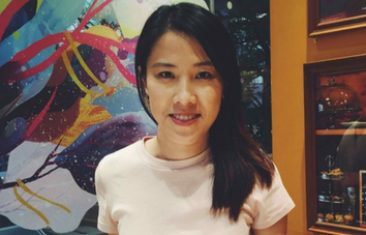 She now works in Shanghai and enjoys tasting the best dishes, discovering hidden restaurants and learning new cooking skills. She also loves meeting people from different cultures as a Couch Surfing host. Ita was born in Luoyang, a historic city in the middle part of China that is known for being the capital of more than ten dynasties throughout China’s history. Brought up eating the most delicious noodle and dumpling dishes, Ita became a foodholic and wherever she goes, she is always excited to explore local restaurants, street eateries, and the stories behind them.. After four years of college in Shanghai, Ita spent two years in the US where she enjoyed cuisines from all over the globe.She returned to settle in Shanghai in 2015 and now Ita’s favourite weekend activity is to discover the most delicious hidden gems in the city. Sandy grew up in a family that worships good food, so naturally she took up the family tradition and became a foodie. From Michelin-starred restaurants to street vendors, she tries and loves every type of cuisine. Living in Shanghai since 2012, Sandy loves to wander around the streets and lanes in the city, where there are always surprises to be tasted! Lauren first came to China in 2014 to study Mandarin and hasn't looked back since! 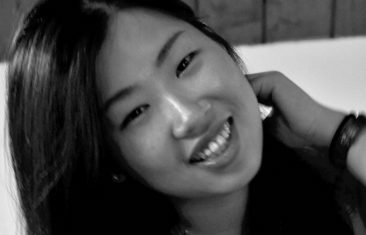 She's interned in Ningbo, studied in Beijing, and has been working in Shanghai for the past 3 years. 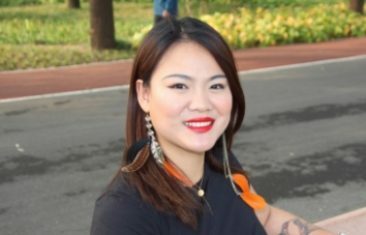 When she's not exploring Shanghai's parks, you can find her performing improv comedy, crafting on her living room floor, or trying to memorize the lyrics to Chinese rap songs. 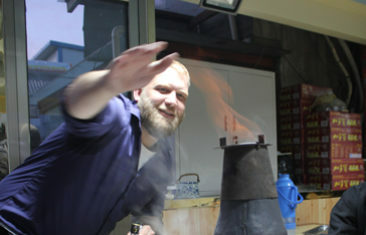 Joseph moved to Shanghai from Singapore in 2012 and enjoys the fusion of local delights this vibrant city has to offer. He loves exploring new dining spots with friends and believes that sharing delicious food experiences connects people. A running and hiking enthusiast, he hopes to stay healthy so that he can appreciate Shanghai's delectable food scene. Having lived in Beijing for almost 3 years, Chang has now moved to Shanghai, the China-born, US-educated Chang has always had a passion for creative F&B concepts of the city. Combined with her fluency in local flavors, her perspectives on culinary trends gives her an authentic approach to the intricacies of Chinese cuisine. Her Manchurian heritage endows her with a strong sense of pride and genuine knowledge of Chinese regional cooking, ranging from Dongbei casseroles to Hainanese Chicken Rice. After 9 years, 1000 plus steaks and a couple of hundred pounds of BBQ, Ricky moved back to China where he can't find fortune cookies anymore. Beijing is his second stop after Shanghai where he stuffed himself with all the Xiao Long Bao a human could possibly eat. When he is not dry aging steaks at home or finding the perfect wood to smoke Beijing Duck, he is searching the city for the newest, best eats that can't be found on Yelp yet. Running an IT consulting firm by day, Ricky finds it hard to share his passion for foods with computers, so he turns to you. 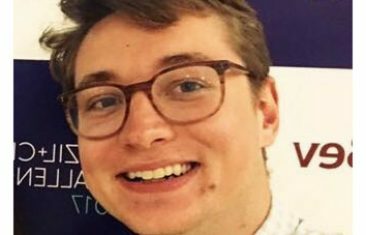 Drew is originally from North Carolina and moved to Beijing at the beginning of 2011 to teach English and discover a different culture after living in Thailand. Over the years Drew moved into voice acting, but more importantly started focusing on his true love... food! He started a brand making traditionally preserved foods like kimchi, sauerkraut, and cured salmon. Drew will happily eat intestines, bugs, and funky smelling fermented things but absolutely refuses to eat bananas... gross! During his free time he loves going out with his wonderful wife in search of the next great meal that Beijing has to offer. 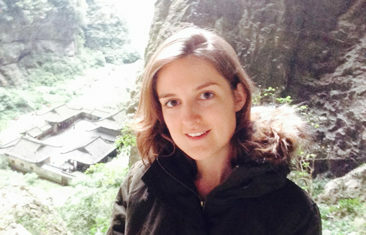 In search of broadening her mind and her stomach, Katie left the UK and touched down in Beijing in 2008 and hasn't looked back. 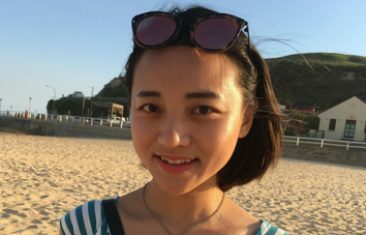 She spent extended periods of time in Nanjing & Fuzhou, then found herself back in Beijing and is happy to call this city her home away from home. Katie loves traveling and and her first priority upon arriving in a new place is to open one of her restaurant apps and scope out the best grub in town. Feel free to ask her for recommendations. Half German and half Chinese food-enthusiast Julia grew up in Hong Kong and Beijing, thoroughly enjoying a household that offered the best of both worlds/cuisines. After studying in Germany, she decided to go back to Beijing in 2014 because she felt she hadn't had enough jianbing yet. Besides her fondness of baking and bonding with friends and family over great meals in her free time, Julia is always excited to try any new dish of any region she hasn't come across. After moving to Xinjiang, China's northwestern-most region in 2007, Greg fell in love with the cultural, geographical and ethnic diversity on offer there. 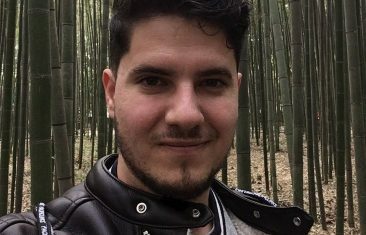 Planned as a one year stint, his year in China had such an impact on him that he studied Chinese at university and moved to Beijing from the UK in 2011. He's always on the look out for new and delicious restaurants to try out and happy to share his finds with you. In his spare time Greg likes to bake sourdough, sing, and cycle around the city. Since arriving in Guangdong Province in 2002, Garth has spent more than a decade in awe of China's cultural, linguistic and culinary diversity. 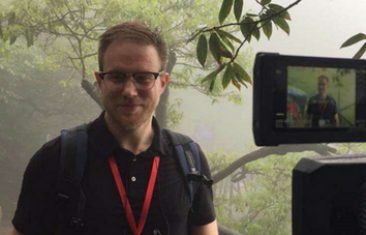 After moving to Beijing in 2009, Garth has been working hard to uncover the city's best bars, restaurants and nightlife as a freelance writer & columnist for City Weekend and The Beijinger. When he isn't searching for Beijing's newest (or oldest) eateries, Garth also works backing local bar owners and restaurateurs as a menu, management and media collaborator. Garth is a conflicted but dedicated carnivore. Marco is a Brazilian who has been living in Beijing since 2010. 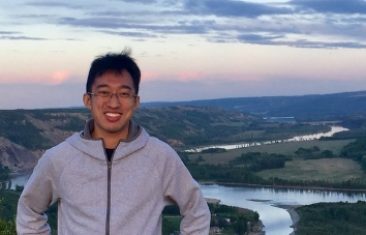 While planning to stay only for 2 years to learn Mandarin, he developed a deep interest in Chinese Culture and extended his stay to as a Renmin University Language and Literature Undergrad, graduating in 2016. He likes to try different foods, and one of his hobbies is compiling a personal list of the best restaurants in Beijing, from Burgers to Beijing Duck. Candice Zhao is a Beijinger through and through. She was born and raised in the capital and grew up in Hutongs, before heading south to study in Hong Kong. Now she is settled back in her hometown. Candice has worked in tourism and F&B industries for years. She loves food, especially those that satisfy her sweet tooth and her weakness for sweets and carbs. Candice's life motto is "The only constant in this world is good friends and good food". Christiana is a Chinese Kiwi who has been living in Beijing since April 2014. Her life revolves around food and travel. 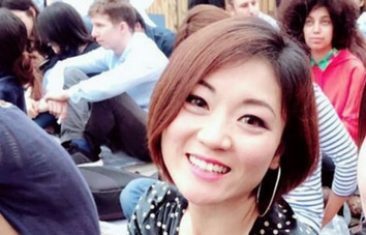 She previously worked in the travel industry for 9 years and is currently intimately connected to Beijing's food scene as the founder of China's first dairy-free coconut yogurt brand. 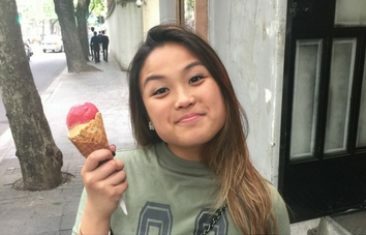 Christiana loves to connect with people by telling stories through food. She believes food is the best way to learn about a locale as the ingredients, preparation methods, and eating styles can tell a lot about climate, culture, and economics. Gavin first arrived in Beijing from small-town New England in 2010, and found himself lured back time and again before finally settling down in 2016. He has worked in F&B since high school, and loves exploring the diverse tastes of the capital. 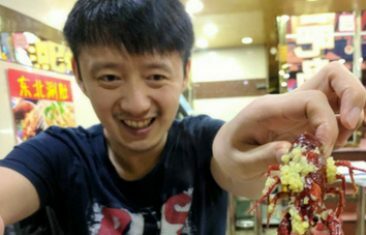 Aside from his work as a policy analyst, he spends his time finding and eating the best hotpot in town before working it off at one of Beijing's many exceptional live music venues. Gaetan first encountered the breadth and depth of China's many cuisines during two brief stays in 2008 and 2010. Hungry for more, this intrepid Belgian decided to move back in 2012 to resume his gustatory adventures. So he put on his backpack and set out on a six-month journey east. Despite the many temptations along the way - think homemade Hungarian goulash, or the cheesy goodness that is Georgian khachapuri - Gaetan made it all the way back to China, and he has slowly been traveling and eating his way around the country since. Alice Liu was born on Hainan Island, which is kind of like China's Hawaii. She spent most of her years growing up in Shandong province in Northern China. 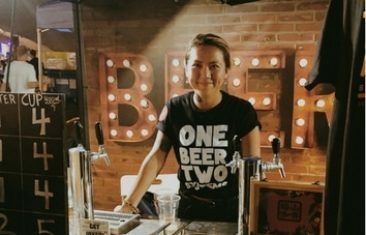 She moved to Beijing 7 years ago and worked in the hospitality industry for 3 years, where she became deeply involved in the Food and Beverage industry. She loves meeting people from around the world and introducing China's rich culture to our guests. Michael has been chowing down in Beijing for 9 years. At over 20 countries and counting, this seasoned food traveler experiences new cultures through local specialty dishes, holes-in-the-wall, and rowdy wet markets. He’s also opened 4 restaurants in Beijing and loves exploring the quirky hutongs where you can still get a slice of Old Beijing.